HostHatch Review 2019: Is HostHatch a Good Hosting? 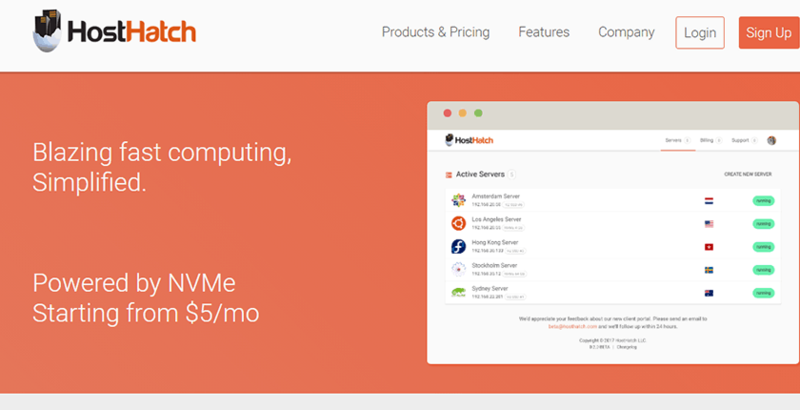 HostHatch is a U.S.-based company that offers a variety of internet services including cloud-based Virtual Machines. Their plans are as basic or robust as you need them to be and their VMs offer robust features perfect for a single website or network of websites. HostHatch is a U.S.-based company that’s been offering website hosting and internet server products since 2011. They’ve grown from a single server to operating their own network in five global locations. During that time, they have helped customers in 100 different countries with online hosting and VM services. They offer a variety of Virtual Machine plans for those ready to graduate from shared hosting with limited features. HostHatch has their own proprietary cPanel for their VMs called Falcon that you can use to administer your server, upload your ISO, and view your invoices. While relatively straightforward, there may be a slight learning curve, but if you are ready to use a VM, you probably can figure it out. HostHatch offers eight different VM products, all with ample storage and bandwidth. Here’s a breakdown of the differences in each plan. These plans offer great flexibility for all sizes of websites or group of websites. The only plan I’d be cautious about is the NVMe 2GB plan. On this plan, your CPU core is only 50% dedicated, meaning that your site is going to be slower than on other plans. Personally, I think the NVMe 4GB is a good starting point for most looking for small VM and is very reasonably priced. Since VMs are for more experienced users, you aren’t going to get the same type of support you would on shared hosting. You’re expected to have some technical knowledge, so don’t expect a lot of help in setting up programs unless the problems are server related. The only form of support available is email or ticket support for existing customers. There is no phone or live chat support. However, their available support operates 24/7. onClick="trackClickout('event', 'clickout', 'Vendor Page - Visit User Reviews', 'HostHatch', this, true);"
This is the worst hosting company that I've ever seen. Their service is the worst. If you've bought a package which is not correct or lack of service that you need, they will not do anything for you. Your money with them will be like throwing in water! Avoid HostHatch at all your cost! If you’re ready to graduate from shared hosting but aren’t prepared to foot the cost of a dedicated server, HostHatch has you covered. Their VM products offer scalable options with robust storage, bandwidth, and excellent security. You get the freedom to build your best website without worrying about the limitations often encountered on shared hosting services. Wondering how HostHatch stacks up against other Web Hosting companies? Enter any other Web Hosting company and we will give you a side-by-side comparison.